Lucky you. As a music teacher, you get to combine your love of music with the way you make a living. From the outside, that looks pretty much like a pitch-perfect deal. And most of the time it is. But just as with any other profession, things aren’t always guaranteed to go smoothly. The good news is, if there’s a problem, insurance can help you get back on song. Quite a few things, unfortunately. And we’re not just talking about a disastrous school concert where the lead violinist is more leaden than leading. We’re talking about situations that can cost you serious money. Kids are clumsy, and that means there’s always an accident waiting to happen. Say they get their foot tangled in a music stand or simply trip over the lead from your electric guitar. If they’re injured as a result, and say it’s your fault, a claim for compensation can easily follow. ‘Compensation’ is a word that’s engrained in 21st-century society, and people aren’t afraid to go after it. And it doesn’t matter if something like this happens when you’re teaching at home, at a student’s house or elsewhere. If there’s a claim, you’ll have to face the music. Then there’s the chance you’ll damage someone else’s property. What if you spill a takeaway coffee over your student’s expensive digital piano, trashing the motherboard? Or your bow arm knocks over a designer standing lamp in someone’s house, shattering both the lamp and a set of patio doors? The point is, people and their property are easily hurt and if you’re the cause, there’s a good chance you’ll be asked to pay damages. Sometimes, for lot of money. That’s where public liability insurance can help. It buys you legal expertise to handle the claim ­­– something that can be both time consuming to arrange and expensive to finance. And it covers any compensation due, which saves your bank balance from a potentially ruinous hit. Don’t forget too that public liability insurance can be worn as a badge of honour, reassuring clients of your professionalism and serious attitude. While if you work in schools or for a tuition business, you’ll probably need public liability insurance as a matter of course before you can take on a contract. What about your equipment? Your livelihood depends on it, after all. If your instrument’s damaged or it goes missing altogether, the music stops and so do your earnings. Plus, there’s repair or replacement costs to consider ­– so a real bum note. It’s possible your kit is covered by your existing household contents insurance. But you need to check whether your policy allows for business use, because many don’t. It’s important to read the small print and to look out for any exclusions, or you could be in for an expensive shock when your claim is refused. If you teach away from home, you’ll also want some protection in case your instrument is stolen, damaged or lost. What if you leave it on the bus or on top of the car as you drive away, oblivious? What if you teach in a school and your instrument disappears during break-time? 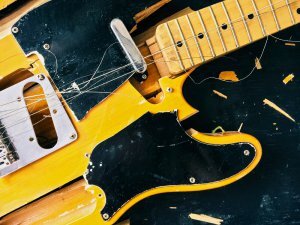 The best answer to keeping your musical instruments, amps and whatever other kit you use protected is portable equipment insurance. If something happens, it pays to repair or replace it as new ­­­– whether you’re at home or anywhere else, including travelling from A to B.
What’s really handy is that it also pays for you to hire replacement equipment while yours is being fixed, or while you’re waiting for new kit to arrive. That means you can carry on working and earning in the meantime. Other insurance you might want to think about protecting yourself and your career with is professional indemnity insurance. It’s helps you face the music if someone says you didn’t do your job properly. People can be precious about their children. If a parent thinks their son is the next Yehudi Menuhin but they fail to bag the anticipated high grade in their exam, they might come after you for compensation. Where there’s blame, there’s a claim, after all. They might say you didn’t prepare their child thoroughly enough, which is why they underperformed. They might want reimbursing for exam entrance fees, as well as money to cover the additional tutoring they say their child needs to bring them up to the required standard. The same applies if you’re teaching from a syllabus, but somehow fail to cover a section. Or the syllabus has changed but you’re none the wiser, so you end up teaching the wrong version. If students then fail their exams because of your alleged negligence, claims may follow. Music teachers’ professional indemnity insurance helps you find your way through the legal complexities of a claim and takes care of the financial side too. It stumps up for a solicitor to fight your corner and handle all the paperwork. And it covers any compensation awarded, leaving you free to carry on teaching. In an ideal world, you wouldn’t have to think about any of this stuff. Your music teaching career would be one of endless harmony, with not a duff chord to be heard. But this is real life, where mistakes are made, things get broken or stolen, and accidents happen. And if you ever find yourself at the sharp end of a claim, you’ll find having the right insurance invaluable. It’ll take care of both the process and the costs, and keep you conducting business as usual.